UnitedHealth Group beat first-quarter expectations and hiked its 2019 forecast, but shares of the nations largest health insurer continued their slump as investors worry about growing Congressional scrutiny of how the company and its competitors do business. Shares of health insurers and pharmacy benefit managers, or PBMs, have bounced up and down this year, as Democratic presidential candidate Bernie Sanders launched a renewed push for a Medicare for All plan that could replace private coverage and as Congressional committees grilled PBM executives over their role in soaring drug costs. Policy concerns like these are top of mind for investors ahead of the 2020 presidential election, SVB Leerink analyst Ana Gupte said in a Tuesday morning research note. The path forward is to achieve universal coverage and it can be substantially reached through existing public and private platforms, Wichmann said, referring to the systems current mix of commercial coverage and government funded programs like Medicare and Medicaid. UnitedHealths insurance business covers 50 million people internationally, and the company also has been stoking growth in its Optum segment for several years now. That business runs one of the nations largest pharmacy benefit management operations, manages physician clinics and also provides technology services. Optum generated first-quarter operating earnings of 1.9 billion as its revenue grew nearly 12 to 26.4 billion. 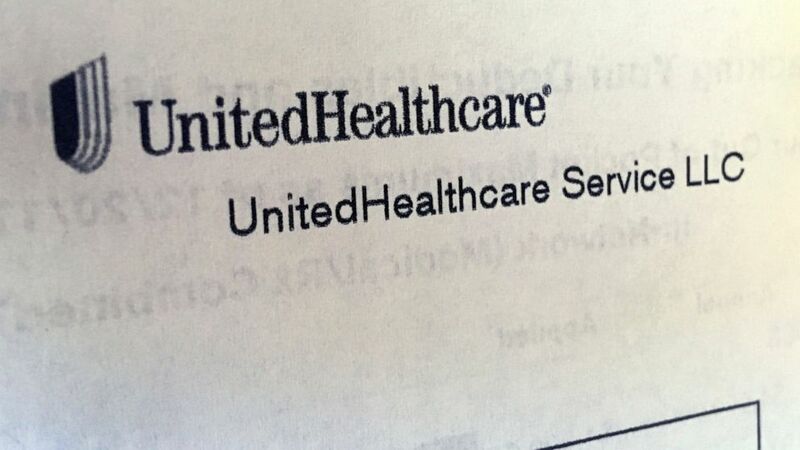 On the insurance side, revenue from UnitedHealths Medicare and retirement business jumped nearly 12, as Medicare Advantage enrollment grew by around 400,000 people. UnitedHealth is the nations largest provider of Medicare Advantage plans, which are privately run versions of the federally funded Medicare coverage program for people aged 65 and over. Overall, UnitedHealth earnings climbed 22 to 3.47 billion in the quarter. Adjusted earnings totaled 3.73 per share, topping Wall Street estimates by 13 cents, according to a survey by Zacks Investment Research. Total revenue climbed about 9 to 60.31 billion. UnitedHealth now expects 2019 adjusted earnings of between 14.50 and 14.75 per share, up from its previous forecast for 14.40 to 14.70 per share. Analysts expect, on average, earnings of 14.65 per share, according to FactSet. Shares of Minnetonka, Minnesota-based UnitedHealth Group Inc., a component of the Dow Jones industrial average, fell more than 3 to 222.70 in midday trading Tuesday while the Dow rose slightly. UnitedHealth shares had slumped 7 so far this year after reaching a new all-time high price of nearly 288 late last year. The Dow, in contrast, has climbed 13 in 2019.